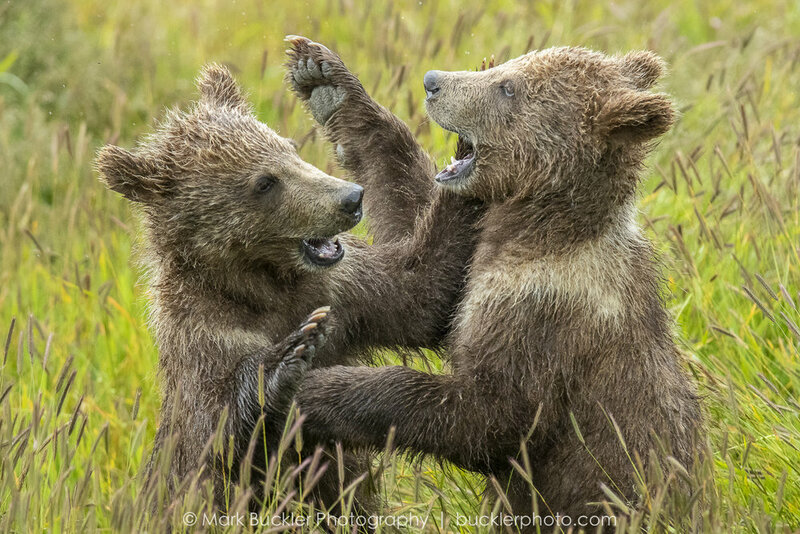 This is your chance to photograph the Brown Bears of Kodiak Island, Alaska during the peak of the salmon run. 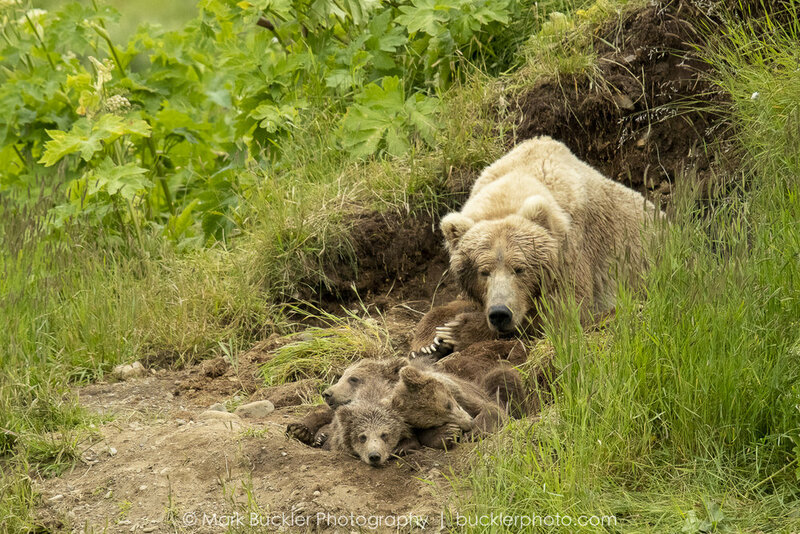 Kodiak Bears are regarded as the largest brown bears in the world and we will have access to some of the best photo locations on Kodiak. 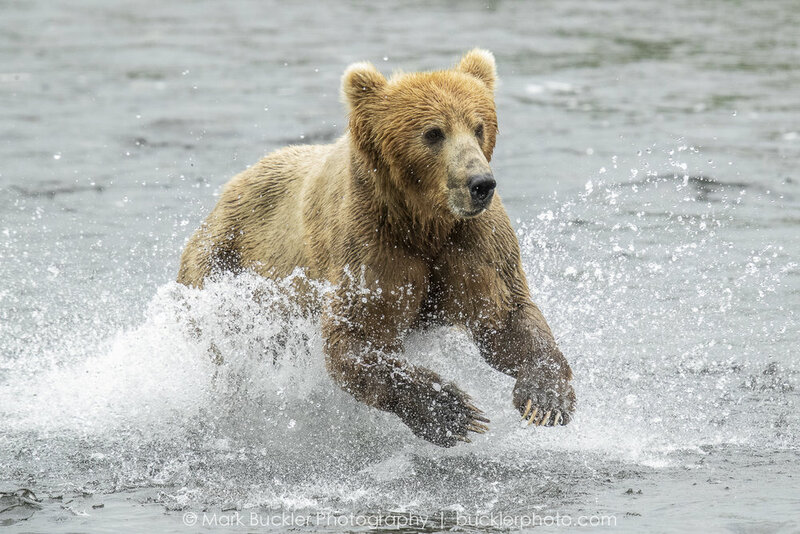 You will have endless opportunities to photograph bears fishing for salmon and in many cases bears will be very close (the bears are preoccupied with gorging themselves on salmon and don't see humans as a food source...we will also have an armed guide with us at all times). On four days we will take a float plane to remote areas of the island where we will likely be the only people there. 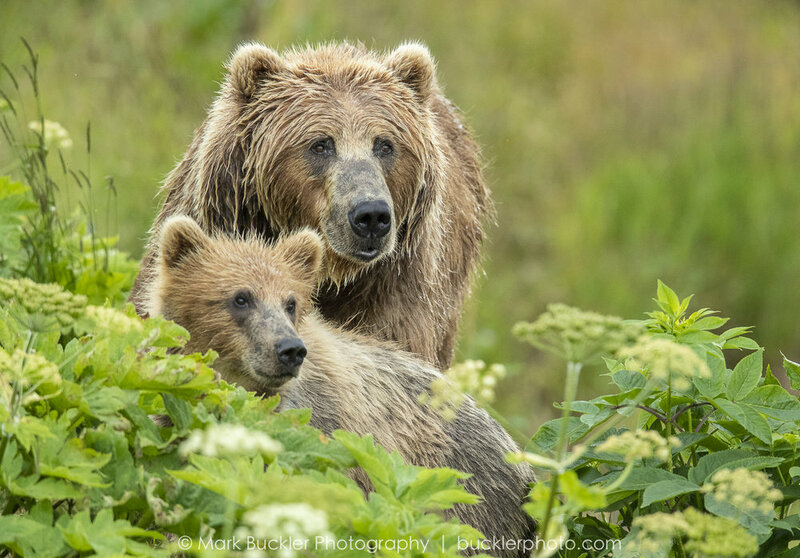 On two days, we will take a boat to photograph bears and other wildlife such as whales, seals, sea lions, otters, deer, fox, puffins and other birds. We will be staying at a deluxe lodge on one of Kodiak Island's bays where the views are magnificent and the food is even better. The lodge has access to world class salmon streams and a hundred miles of shoreline where bears feed. 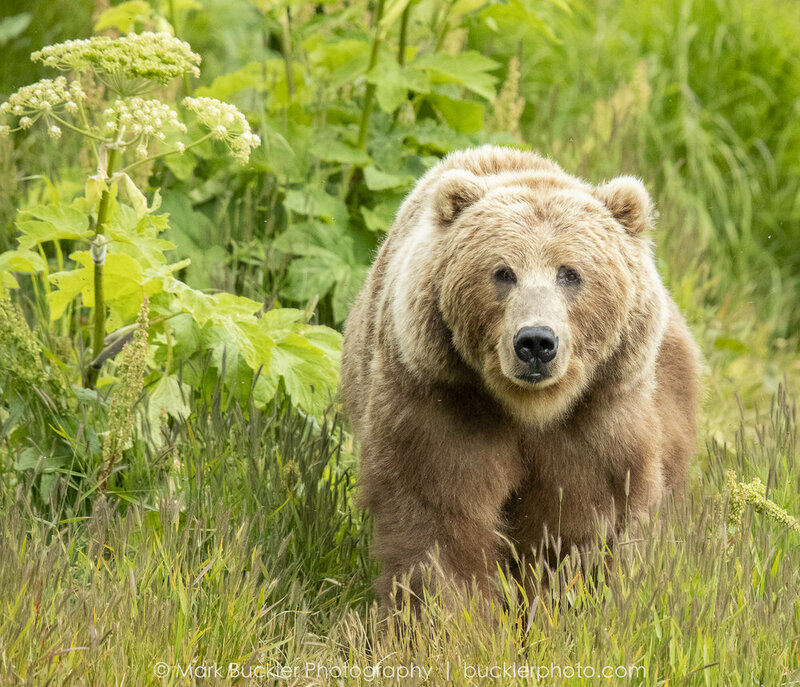 We also may have the opportunity to photograph bears at picturesque geographic harbor where the bears are right on the beach - digging for clams, playing in the water and stalking the estuaries for fish. 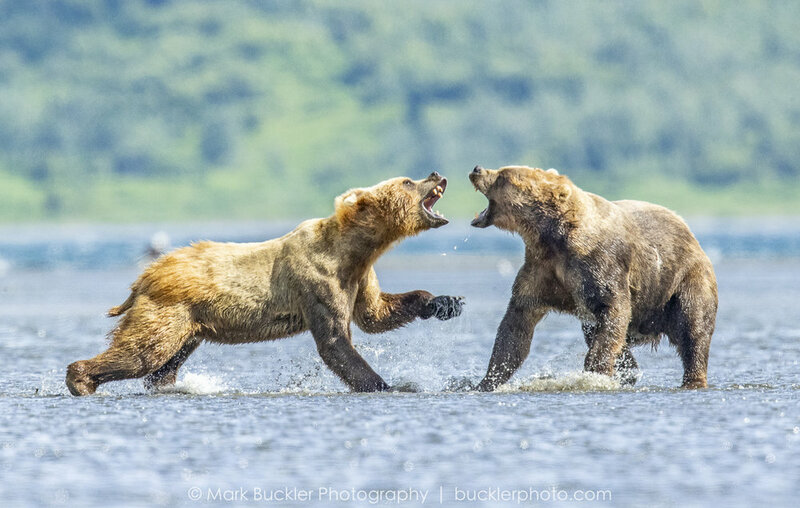 KODIAK BEARS (the largest brown bears in the world) fishing for salmon! LANDSCAPES of remote mountainous regions of beautiful Kodiak Island and gorgeous sunrises outside the lodge. You will need to get into and out of a small plane (float plane) and be comfortable flying in a small plane.